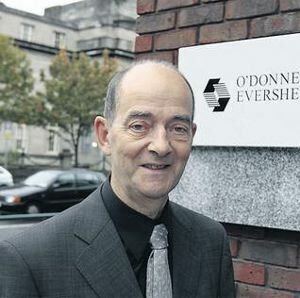 Rory O’Donnell, solicitor, is a former president of the Dublin Solicitors Bar Association, a former vice-president of the Law Society and a consultant to the Law Society’s Conveyancing Committee. He was the main author of the Law Society Practice note ‘Update on Building Control (Amendment) Regulations 2014 issued in April. In an interesting and very comprehensive interview Mr O’Donnell explains to “Self build and Improve Your Home” magazine (Winter 2014) what the future holds for the industry under BC(A)R SI.9. See complete online version of the magazine here (link to pages here– see pages 36- 41 inclusive). If there is a major problem, the person that is most likely to be sued is the Assigned Certifier. On the other hand as mentioned, solicitors will almost certainly advise that action be taken against all members of a team that could possibly be liable for a problem. Before and after the most likely person to be held to account is the Assigned Certifier because his work is the most onerous part of the project. The Assigned Certifier is the one in the lion’s den.